Painting & prints of Tiree - Rising Storm Over Tiree, Hebrides, Scotland. An original painting & prints of Rising Storm Over Tiree, Hebrides, Scotland. 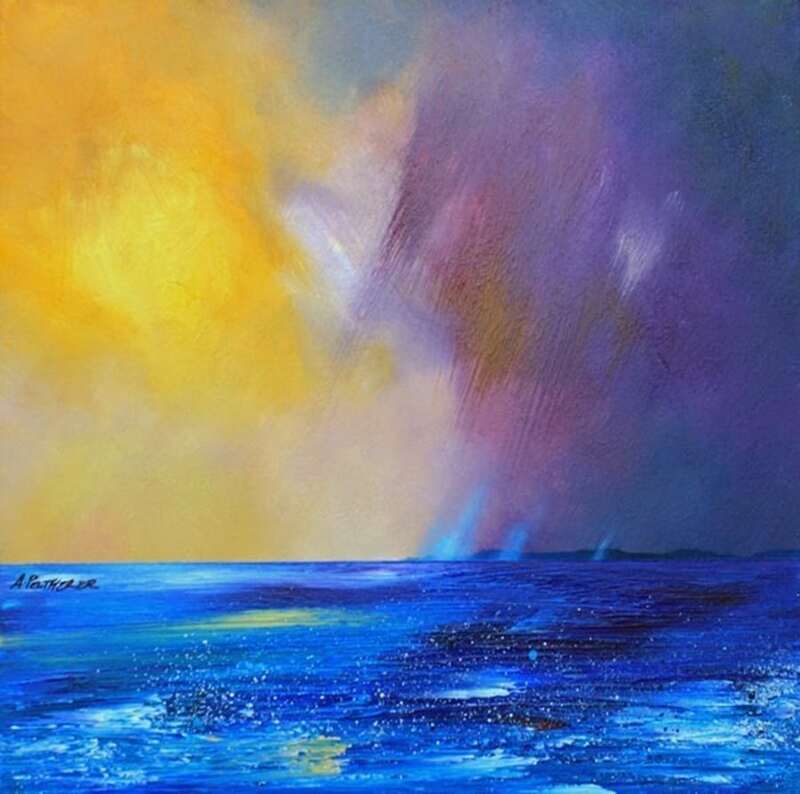 An original abstract, atmospheric seascape / landscape painting of a rising storm over Tiree, Hebrides, Scotland. Painting & prints of a storm over Tiree, Hebrides, Scotland by Andy Peutherer. Painting & Prints Of Tiree - Rising Storm Over Tiree, Hebrides, Scotland.Painting & Prints Of Tiree - Rising Storm Over Tiree, Hebrides, Scotland.